I’m back! Did ya miss me? Don’t answer that. OK, so Arizona was great. Good weather, food and family. It was a quick trip, but good none-the-less. As for culinary delights, I really haven’t made much recently. But I did stockpile some schtuff I made awhile back — perfect for this dip in kitchen creativity. My friend Wendy had some folks over to christen her new place,. 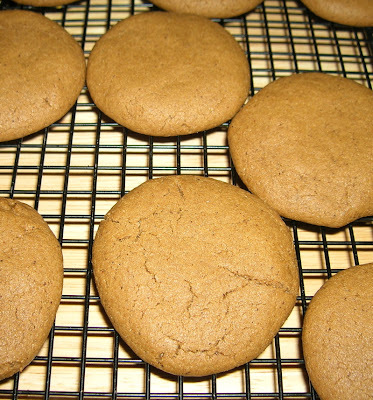 And since she’s a ginger freak (sidenote: I finally saw "This Is England" — awesome, but a crap ending), I cranked out the ginger cookies. Not bad. I need to get back to the stove for more soup. Something with potatoes and black beans is calling me right about now. We shall see. We shall see. Soup's up Friday. If you have to work, I'm sure the administrators will be OK with a 3 or 4 hour lunch, right? Gourd Damn! It was 80 degrees!